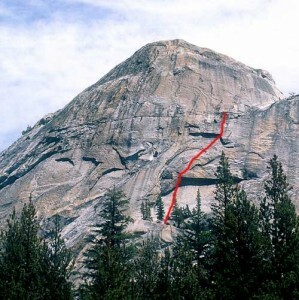 A very dangerous route due to the crux having 20-foot fall potential off the roof onto a slab. All bolts were replaced by the ASCA in 2002. The second pitch is crumbly. Which SuperTopo guidebooks include a topo for Carpet Crawler?